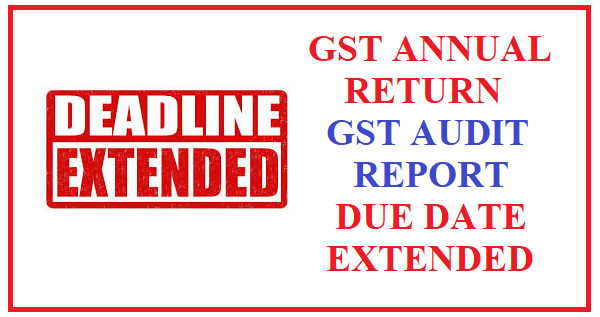 Once again due date has been extended in GST , this time for annual return under GST and GST audit report . Original due date was 31.12.2018 but till 7th December , requisite forms has not been updated on GST portal and under prepared GST team has extended the due date for such return as a face saving tactics.God knows for how many time more these extensions will come in future . The whole system of GST is depended on IT and the same is not on tract even after One year and 9 months from implementation of the GST i.e 01.07.2017.